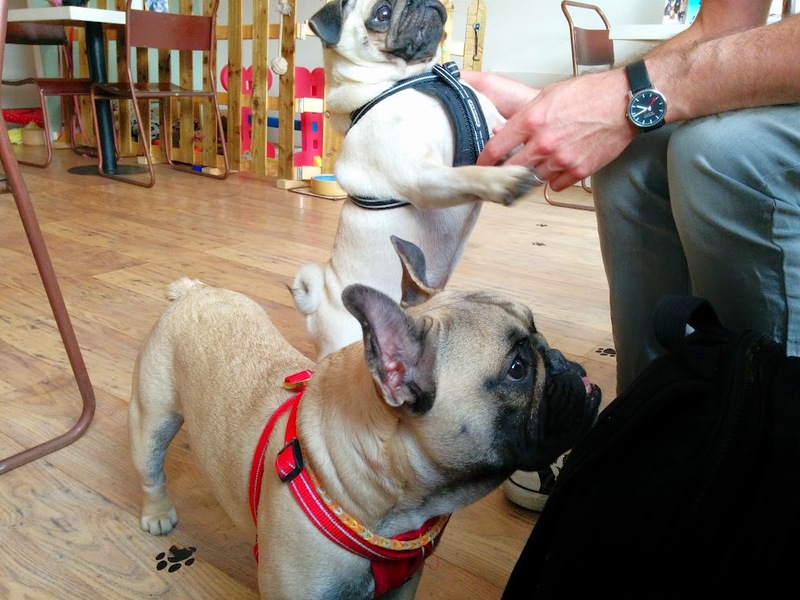 Turns out Brighton has a dog cafe now with the best name ever-Chubby Chops Cafe. Chubby freakin chops cafe, how cute is that?! And the resident dogs there are named George and Bonnie and they are grumpy faced and adorable and make weird noises with their smashed faces when they get excited. Bruce was his usual anti-social self, but the trio had a good time together regardless. It all reminded me of the Dog Cafe Jon and I went to in Seoul when we first started dating. There were a lot more dogs there-I hope Chubby Chops grows too, because I am so down for a truly dog friendly place that isn’t a pub. Not that I don’t love pubs, but it’s a lot easier when the furry ones can run around and play and skid around and you don’t have to worry about someone accidentally letting them outside. I had a pink lemonade (they say it’s homemade and if it is, well done them), Jon had a berry smoothie and some cake because that son of a b is always eating cake, and it was all good. Solid Sunday afternoon with some dogs, and we shall definitely return. If you have a dog and live in/around Brighton, you should go too-the staff are really super nice, and at least half the people there didn’t have dogs, so it’s no big deal if you don’t have any pups. They are in the Lanes, right by that weird mermaid fountain! Oh, and the other best part of last weekend? (obviously the dog cafe was the main best part) Seeing a working Dalek outside the Mini Maker Faire at the Dome. Well, not working working, it didn’t incinerate anyone. But it said “exterminate!” a lot and chased kids around of its own volition, so that was pretty great. 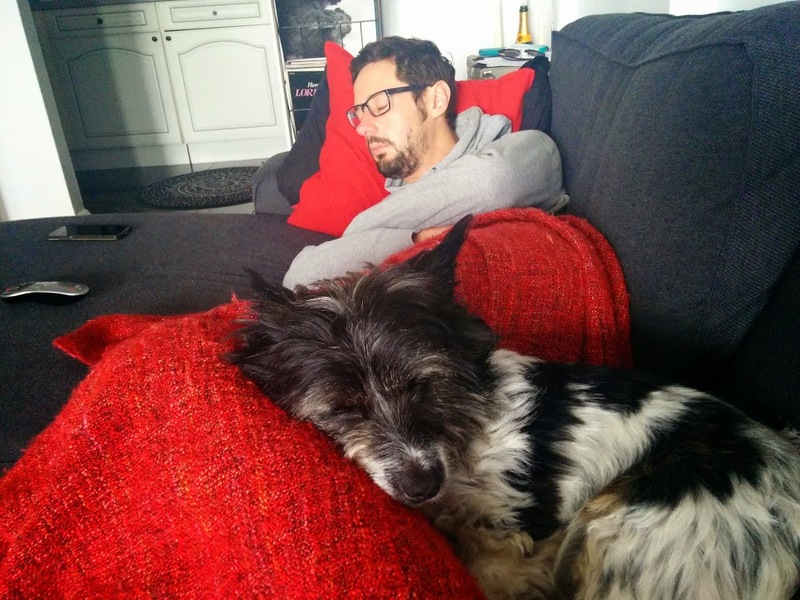 And last thing-Jon was struck down with a change of seasons cold at the end of last week, as you get, so while I worked from home on Friday he drugged himself up and slept on the couch next to me, and this was my view. Doctor Bruce, always on call.